Just like the Master Chief, Rupert Wyatt had an escape plan. On Monday, December 3, Wyatt formally exited his posts as director and executive producer of Showtime's in-development Halo television series (via Variety). The Rise of the Planet of the Apes filmmaker was set to helm several episodes of the show, an adaptation of the Bungie-343 Industries military sci-fi shooter video game franchise of the same name from showrunner Kyle Killen, who is currently still set to direct as well. Sadly, scheduling conflicts have forced Wyatt out of his roles as director and executive producer, and he will no longer be involved with the live-action Halo series in any creative capacity moving forward. "It's with great disappointment that changes to the production schedule of Halo prevent me from continuing in my role as a director on the series," said Wyatt in a statement. "My time on Halo has been a creatively rich and rewarding experience with a phenomenal team of people. I now join the legion of fans out there, excited to see the finished series and wishing everyone involved the very best." 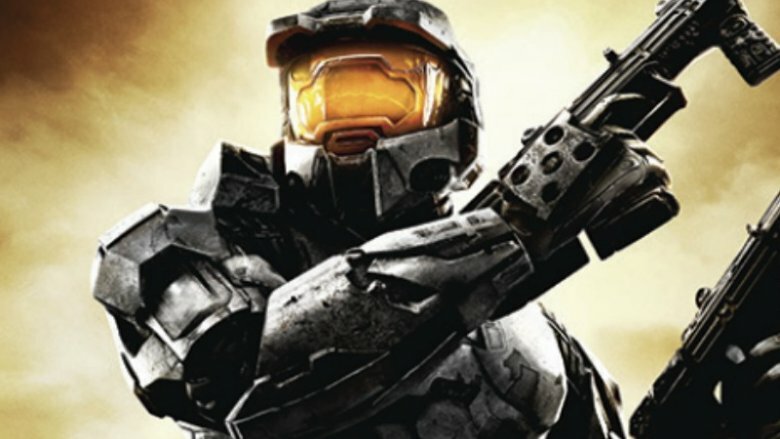 Showtime's president of programming Gary Levine further explained, "Showtime's adaptation of Halo is evolving beautifully with rich characters, compelling stories and powerful scripts. Obviously, the production demands of this series are enormous, and we have had to add time to the schedule in order to do it right. Sadly, this delay has created a conflict for Rupert, whom we warmly thank for all he has brought to the project." It's apparent from Wyatt and Levine's statements that Wyatt is working on something big — something important enough to pull him away from his commitment to the Halo television series — but it's anyone's guess what that project might be. The director's latest venture, the John Goodman and Vera Farmiga-led sci-fi thriller Captive State, has long wrapped filming and will head to cinemas on March 29, 2019. According to IMDb, Wyatt is attached to direct Storm King, but there's been very little (if any) chatter about that production. Wyatt's exit marks another bump in the road to get a Halo series on television. Various adaptations have passed through the hands of Peter Jackson, Neil Blomkamp, and Steven Spielberg — and all have failed to reach the small screen. The Jackson-Blomkamp project never came to fruition (the pair poured their creative efforts into making District 9 instead), and Showtime's initial Spielberg-executive-produced series also fell apart. Things looked brighter than ever, though, in June of this year, when Showtime confirmed that Microsoft and its subsidiary 343 Industries had partnered with Spielberg's production banner Amblin Television for a "richly imagined" and incredibly ambitious translation of the popular game franchise. The good news is that even though the Halo series is without Wyatt, it's "still going forward," according to Deadline. The aim now is to continue rounding out the cast of the show and to find someone to fill Wyatt's shoes. With any luck, the series can still turn out great despite the change in director.